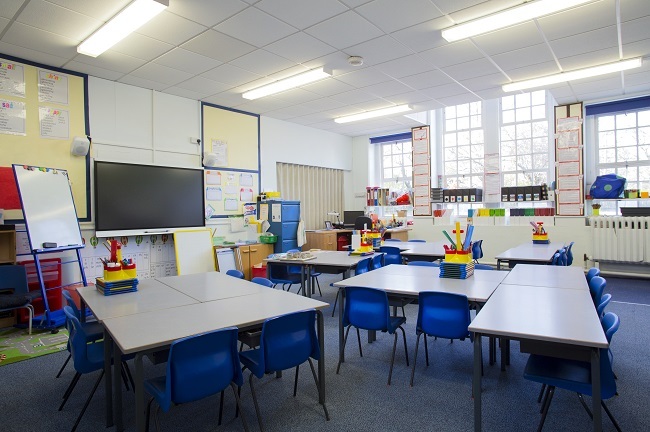 Summer break is a great time to prepare a school building for the coming school year. When the students are out, important maintenance tasks can be completed without interference. Cleaning the building now will ensure that kids can start their year off to a fresh start. Here are 5 summer school cleaning tasks that will get you ready for this new school year! To start off, make sure that the cleaning equipment the janitor uses is up-to-date. If the equipment is too dirty or has been overused, it’s time to buy new ones. Clean out the janitorial closet and have it organized so that the janitors can easily clean the school during the coming year. Students will have left behind personal items in all kinds of places, including the lockers and desks. Clean out the lockers, desks, gym area, and so on. Put all items in a lost and found bin so that students can claim them when school starts again. Summer is the perfect time to clean the HVAC system. Change the filters as needed so that the air quality in the school remains fresh all year round. There are certain areas that will likely require a deep cleaning. This includes bathrooms, cafeterias, kitchens, play areas, and the gym. Pay extra attention to these areas during the summer and give them extra care. If you were not satisfied with the cleanliness of the school building last year, perhaps it is time to hire a new school cleaning agency. A cleaning agency will be able to clean the building on a regular basis so that students return each day to a building that is in pristine condition. Contact us today for more information.